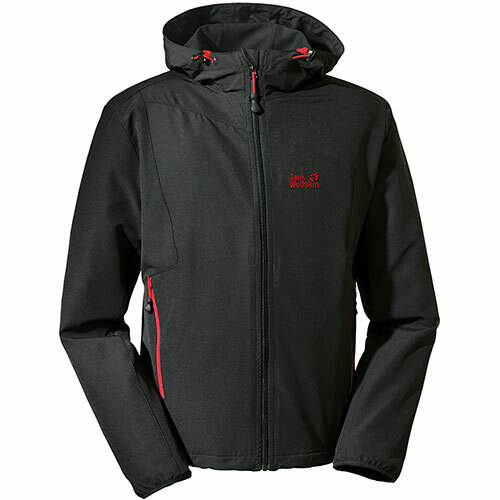 The Jack Wolfskin Turbulence softshell jacket is full of features and lightweight design. I decided to test it out! This Turbulence softshell is made from 91% polyester and 9% elastane. It has two-way stretch flex shield softshell micro fabric, made from microfibres and featuring wind-resistant and water-repellent properties, so say making it smooth and extremely breathable. In simple terms, it lets your warm air release from the body on the inside, whilst protecting you from the wind and light rain from the outside. Lightweight is the key word for this jacket, as it feels so light when you have it on. Mostly warn with a short sleeved top, I felt comfortable both with the feel of the jacket and the temperature it kept me at. The cut around the bottom is good and is slightly longer to avoid riding up, whilst allowing plenty of freedom to move and stretch. Because of the stretch in this jacket, it seems to be very durable. It feels well made, and after tugging it about a bit and catching it on a barbed wire fence, with no damage, I starting to believe in the set up of materials. Lightweight jackets, you would assume are lightly made, not the case anymore! Waterproofness This is a soft shell jacket which is not designed for heavy rain, so it will protect you somewhat from a shower, but more so from the wind. I did get caught in a heavy shower in this jacket and it did fairly well, but I wouldn’t want to be in rain for long period of time. 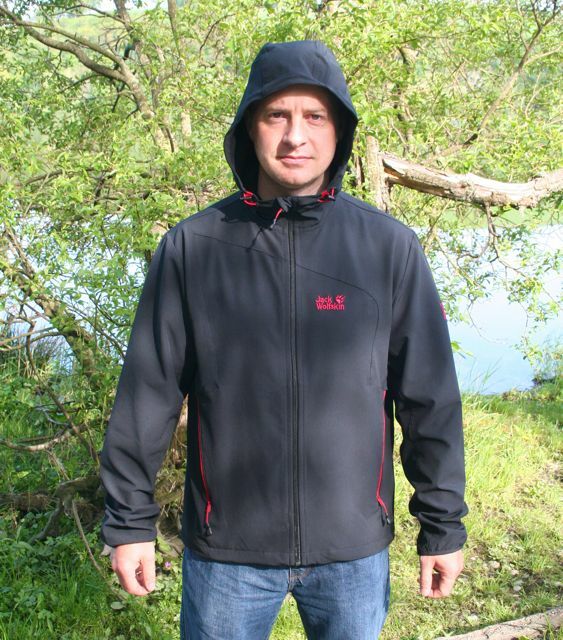 The hood is very lightweight and comfortable, with adjustable cords to help control any flapping in windy conditions. I really like the way this hood rest on your head. It covers it well, but stills feels lightweight, and makes a big difference warmth-wise. The zips are good, easy to use, and I like the plastic pullers on the end of them, very easy to grip hold of, yet also small and lightweight. The top of the main zip also has a little storm flap, nice touch. Pockets The pockets are about average in size, again have lightweight mesh inside, and fell nice to the touch. I always worry about pockets like this with keys or anything sharp, but I gave it a good pull and the mesh feels tough. For a softshell jacket offering the basic weather protection, with the added bonuses of the smooth, comfortable and freedom of movement this offers, I really like it. The price of £85 might seem a little steep for this jacket, but you can always get them cheaper if you look around like on Blackleaf for example. I have tested this jacket out in a variety of sports in the outdoors and would be comfortable to use it in a lot more. 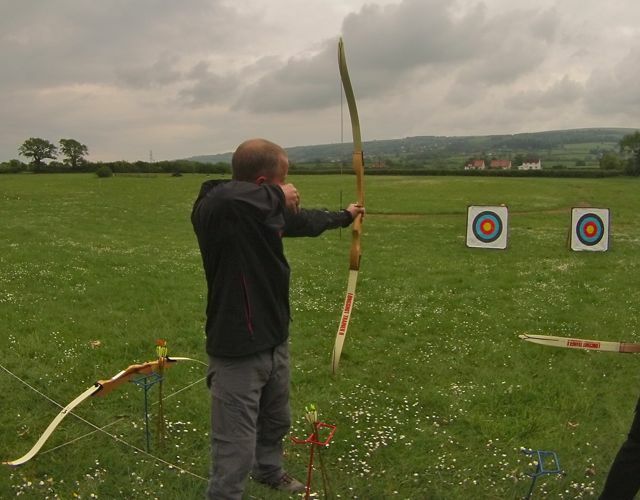 Confidence in the clothing you wear is essential in the outdoors, and for me this offers it!